Eli Allen joined Civic Works in 2009 and directs Civic Works’ EnergyReady program, overseeing its operations, development, staff members, strategy and partnerships. Prior to joining Civic Works, he contributed to the Environmental Protection Agency’s educational outreach initiatives and provided legal support to the Department of Justice’s Environment and Natural Resources Division. Eli is committed to creating a thriving and more inclusive green economy. Evie joined the Civic Works team in 2011. 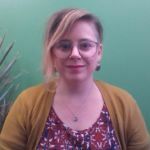 Evie is responsible for day-to-day management of the Retrofit Baltimore and EnergyReady programs. Evie oversees the building of strong recruitment, financing, and service partnerships; the case coordination and assistance provided to households by Retrofit Baltimore staff; the quality of services provided by contractors; and the quality and accessibility of green career opportunities created with partner contractors. Evie has a degree in Urban Studies and is a certified Building Analyst and Envelope Professional. 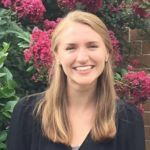 Previously, Evie completed a year of service as an AmeriCorps member canvassing Baltimore neighborhoods and worked with the Providence Preservation Society to improve the urban built environment. 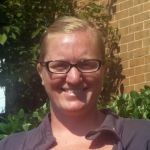 Brooke joined Civic Works in 2015 and became Program Manager of EnergyReady in 2017. She monitors the progress of EnergyReady projects, and manages communication between EnergyReady clients, contractors, and field teams. She holds a B.A. in Community Studies and Civic Engagement from the University of Baltimore, is a certified Building Analyst and Building Envelope Professional, and a NABCEP Photovoltaic Associate. Brooke is excited to use the skills she gained in the private sector towards forwarding EnergyReady’s mission. A Native Baltimorean, Karim Peoples came to Civic Works in 2009. Now with over 10 years of experience in the construction and home performance field, Karim is EnergyReady’s chief trainer and Field Manager. 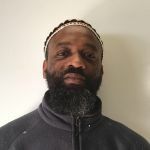 In addition to managing weatherization installers, Karim is a Baltimore Center for Green Careers instructor. The most satisfying parts of his job include reducing energy bills for Baltimore residents and passing on his technical expertise to students. 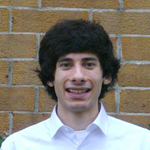 Karim is a proud father and Building Performance Institute certified Building Analyst and Envelope Professional. Jen joined the EnergyReady team after working with them as a partner and admiring the passion and change that Civic Works is able to create. As an Energy Auditor, Jen provides homeowners with a comprehensive assessment of their house. Jen has worked in affordable housing for over ten years and is excited to now be on a different side of housing, while still making a positive impact. 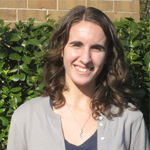 Jen is active in her neighborhood of Glenham-Belhar and enjoys learning new parts of Baltimore City every day. Jen is a certified Building Performance Institute Building Analyst, Envelope Professional, and Quality Control Inspector, and holds a B.A. in Sociology and German from Mount Saint Mary’s. Curtis Elison is a native Marylander and has been a part of Civic Works since 2013. 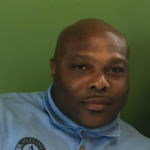 He currently serves as the Operations Coordinator for EnergyReady. His passions include energy efficiency, meeting transportation needs, and cooking. 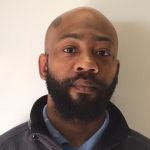 The best part of the job for Curtis is having a positive, productive, and passionate work culture that betters our customers as well as those that go through our training program. Sydney manages project information, data, and documentation for EnergyReady projects. She graduated from Wheaton College in Illinois with a degree in International Relations, but through her courses, internships, and experiences, she found herself drawn to topics of local policy and community relations. She brings past experience connecting community members with resources in nonprofit settings and database management to the BCGC team. Overall, Sydney is dedicated to the empowerment of individuals and families by expanding the access to sustainable opportunities to those who have historically experienced barriers. She is grateful to be a part of the EnergyReady team where she can continue learning about justice issues in the area as well as contribute to a solution. 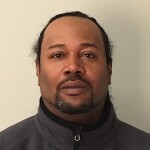 A graduate of the Baltimore Center for Green Careers, Duane joined EnergyReady in 2014. 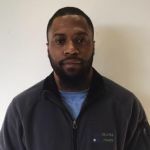 Prior to EnergyReady, Duane worked as Forklift Operator and Truck Driver, and comes to EnergyReady with extensive warehousing experience. 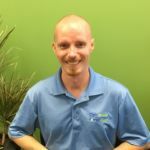 He enjoys working with others and the community to make it stronger and more energy efficient.